Oh, the sounds of Thanksgiving! Laughter and joy echo from every room in the house. Relatives, who have traveled from miles around, occupy every inch of space. It is hard to determine which conversation to tune in to. In between the bursts of laughter, there is another familiar sound coming from the television. The sports commentator excitedly calls every play as the football game electrifies the family room and everyone in it. Then there are those folks who strategically maneuver through the kitchen, eyes locked in on the food. Immediately following grace, turkey is sliced, macaroni and cheese is devoured, and soft rolls quickly disappear! This is Thanksgiving as most people know it: family, faith, food, and football. Most would agree that Thanksgiving brings about good memories. Unfortunately that is not the case for all people. Thanksgiving does not evoke good feelings for everyone. For some, holidays can be overwhelming and depressing. Holidays can haul the hurt right into our hearts. It can be a painful reminder of the loneliness that some feel. There are many people silently suffering. If we are not careful, we just might miss them. Perhaps you know someone or maybe you are the one silently struggling today. It is so easy to participate in all of the festivities of the day and still be aching on the inside, holding your breath and counting down the minutes until it is all over. You may wonder, how could this be? How could someone be so unhappy during the holidays? Consider the person who just lost a parent, lost a child, or miscarried a baby. 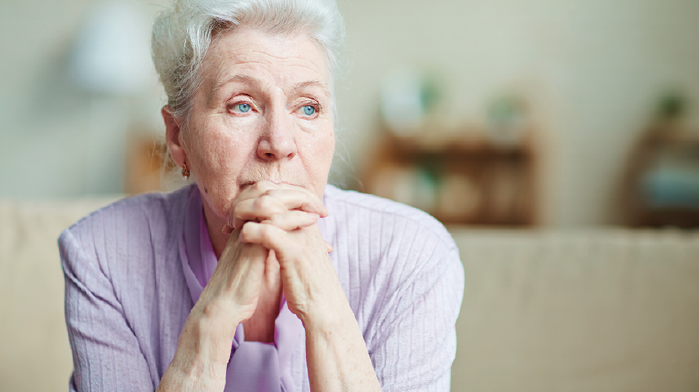 Think about the person who just lost a grandparent or is estranged from a close friend; perhaps someone has no family or friends at all. What about the man who just received a devastating diagnosis or lost his job? There is some young woman who was just dumped by her boyfriend and a widower who now spends every holiday alone. Whether we are aware or not, these individuals are at our Thanksgiving celebrations. They are smiling, being polite, and just going through the motions. How does the silent sufferer make it through the Thanksgiving holiday? How can we be of assistance to them? It is God’s desire that we support those who are suffering or put an end to our own silent suffering by becoming strengthened survivors this year. The first way we can terminate silent suffering is by studying Scriptures about God’s love and closeness. “The Lord is close to the brokenhearted and saves those who are crushed in spirit” (Psalm 34:18). That is very encouraging. I bet there is someone you know who needs to hear about God’s love. Are you willing to share with someone in need how you experience his love? They need to know that his love is real. If you are silently suffering, your family may not have any idea what you are enduring; but God knows. Though you may not necessarily feel him, he is there. He is closer than you think. Take a moment and let that sink in. Not only is he there, but he is ready to rescue you. The second way to end silent suffering is to pray for God to heal and renew the broken heart. When one is suffering, prayer is often the hardest thing to do. However, it is our most reliable weapon. If you take a moment and think about it, I bet there is someone who would greatly benefit from your prayers because they are struggling to pray. Pray for God’s healing power to flood their hearts. “He heals the brokenhearted and binds up their wounds” (Psalm 147:3). There is a promise in that verse that if your heart is broken, God will certainly heal. It still may take time, but do not waste another day suffering when the first step toward healing is available to you. Spending time with loved ones is another way to put a stop to silent suffering. It can be tempting to hide away and avoid people. Inevitably, that will only make the situation worse. If you can identify someone in your life who may be struggling, invite the person to spend time with your family. Even if they are reluctant, extend the invitation; they could probably use the support. If you are the one feeling down this Thanksgiving, it will profit you to find others to be around. There is strength in numbers. Consider accepting the invitation that was extended to you. Share what you are going through with others and watch God’s love embrace you by way of his children. A fourth reality to rid one’s life of silent suffering is by finding ways to help those who are less fortunate. It is amazing how showing love to others can quickly bring joy to your life. There is something beautiful about spreading love when you are the one who needs it. “Truly I tell you, whatever you did for one of the least of these brothers and sisters of mine, you did for me” (Matthew 25:40). How great would it be if you encouraged someone who was silently suffering this Thanksgiving to come along with you and serve at a homeless shelter, soup kitchen, or food pantry? Jesus would certainly be pleased with your act of kindness. If you are an individual who is suffering, it would be refreshing for your soul to show love to others. Oh, how the Father would fill you to overflow. The last thing that can be done to squash silent suffering is to start a new tradition that will create fond memories. We love our family traditions, but who says we cannot create new ones? If you know someone who is having a hard time this year, think of something the person likes to do and include it this Thanksgiving. If you have a sister who loves to paint, carve out some time to paint, draw, or illustrate one thing each person in the family is thankful for. The fresh ideas will bring new energy to the person who needs extra support. If you are the one struggling, do something that makes you happy this Thanksgiving. Who said your holiday has to look like everyone else’s? Visit a new city, try a new hobby, or create a new Thanksgiving dish. Suggest a new idea to your family. Whatever you decide to do, make it something new and enjoyable. This year, as you celebrate, remember that there are people all around you who may be silently suffering. They may be smiling on the outside and participating in the conversations but struggling on the inside to keep up the façade. Before the turkey is carved and the desserts are consumed, take a moment to look closely at your loved ones. See them as God sees them. Extend God’s love to each of them and say a silent prayer that the suffering would cease. They need your love and support as they journey on and become strengthened survivors this Thanksgiving. Shayla L. Hilton is a dedicated author, blogger, and educator who lives in Greensboro, North Carolina. QUIZ: Are You a Silent Sufferer or a Strengthened Survivor? 1. I dread the holidays and would prefer to spend them alone. 2. I recently lost someone or something I truly valued. 3. I do not think my family or friends understand what I am going through. 4. I am not sure if I will ever enjoy the holidays again. 5. When I am around my family and friends, I pretend like I am happy even when I am feeling sad. 6. I do not want to ruin the holidays for my family and friends, so I pretend that everything is going well in my life. 7. I do not want to disappoint my family or friends by sharing too many of my problems with them. 0-1: You seem to be a strengthened survivor who is ready to face the holiday in spite of the challenges life has thrown your way. 2-4: You may still be struggling this holiday, but you are healing daily. Continue to connect with others as you heal. 5-7: You are silently suffering this holiday season. Do not go through this alone. Surround yourself with supportive people this Thanksgiving and be honest about what you are going through.